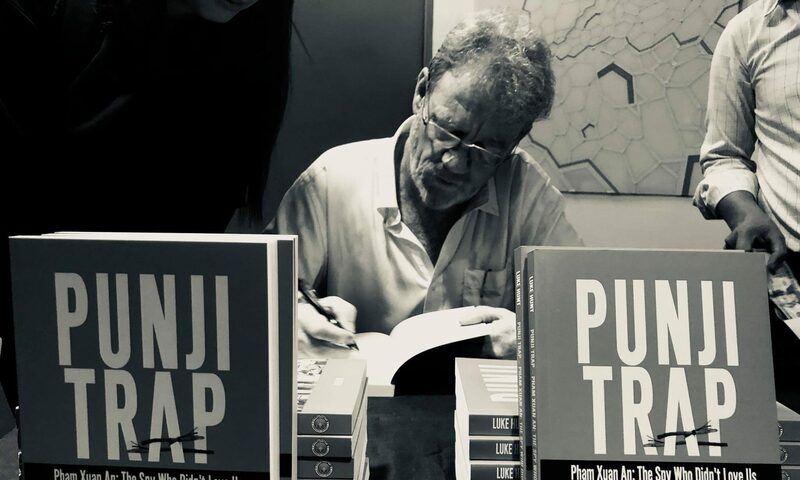 ‘Punji Trap is a cracking read that paints a vivid picture of colorful characters on a murky canvas.’ David Fox, former Reuters correspondent. ‘History and mystery melded together in a must read for students and scholars of modern Southeast Asia.’ Paul Ruffini, former editor Bangkok Post Sunday. ‘Mata Hari, Kim Philby… Luke Hunt’s magnificent Punji Trap adds the Vietnamese War’s most effective double agent, Phạm Xuân Ẩn, to the short list of master spies who changed the course of 20th century history.’ Dan Boylan, the Washington Times. ‘Absolutely riveting… a real page turner.’ Michael Hayes, co-founder and former publisher Phnom Penh Post. ‘Luke Hunt’s incisive portrayal of a fascinating character explores a murky underbelly of espionage in the Vietnam War. This painstakingly researched work is compelling and thought provoking.’ Lindsay Murdoch, South-East Asia correspondent, The Age and Sydney Morning Herald. ‘It might also be true that this book – Hunt’s second – is an important study of 20th century foreign correspondence, something made possible by his own knowledge of the intricacies of reporting for wire services from the frontline.’ Shane Worrell, The Diplomat. 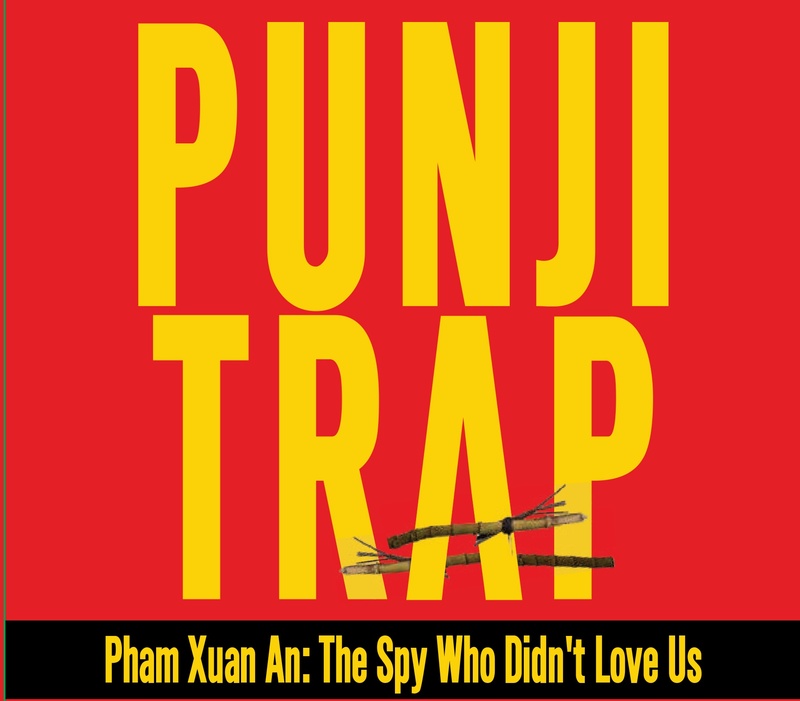 ‘Luke Hunt’s Punji Trap is a remarkable study of Vietnamese journalist and spy Pham Xuan An who was to the Vietnam War what Kim Philby was to the Cold War. In this unsentimental account, Hunt shows how the American educated journalist who wrote for western audiences, shaped impressions about the war that in the end proved to be more important than the empirical facts on the ground.’ Prof. Peter Maguire author of Law and War, Facing Death in Cambodia, and Thai Stick. ‘Hunt is the journalist’s journalist. This book is a rollicking tale of history and intrigue. Economical and expansive. Hunt reports the truth of history under the guise of a cracking read.’ Ross Mueller, Freelance Writer and Playwright, Geelong Advertiser. ‘Highly respected and experienced journalist Luke Hunt, a front line reporter himself, tells a great story of deception and intrigue that occurred during the first major conflict to be covered by the modern media that shaped public opinion of the Vietnam conflict around the world.’ Alan Parkhouse, Asia Times. 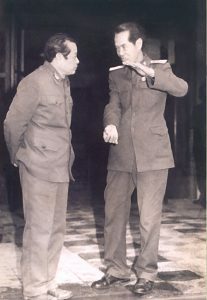 Communists Bui Tin, who accepted the unconditional surrender of South Vietnam, and Pham Xuan An chat following the end of the war in 1975. Both are wearing their military uniforms. 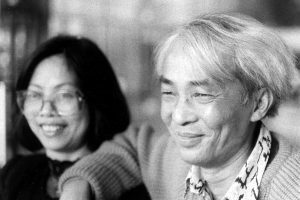 Former Reuters correspondent Pham Ngoc Dinh, a good friend of Pham Xuan An, is pictured here with his wife Vy at their Sydney home in 1992. 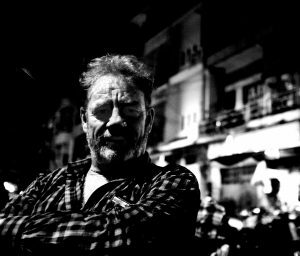 He worked for Australian Associated Press after leaving Vietnam.